is one of our selected horse games which can be played for free at horse-games.org. It has been played 4153 times and has been rated from administrators of horse-games.org with 4.60 stars out of 5. If you like this kind of games you are welcome to play other amazing games in horse breeds category. 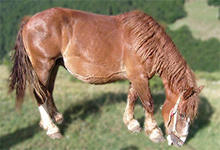 The withers are prominent and wide; the hindquarters are powerful; the tail is set high with an exaggerated carriage. The legs are muscular and strong with short cannon bones, broad joints, and round, hard feet. 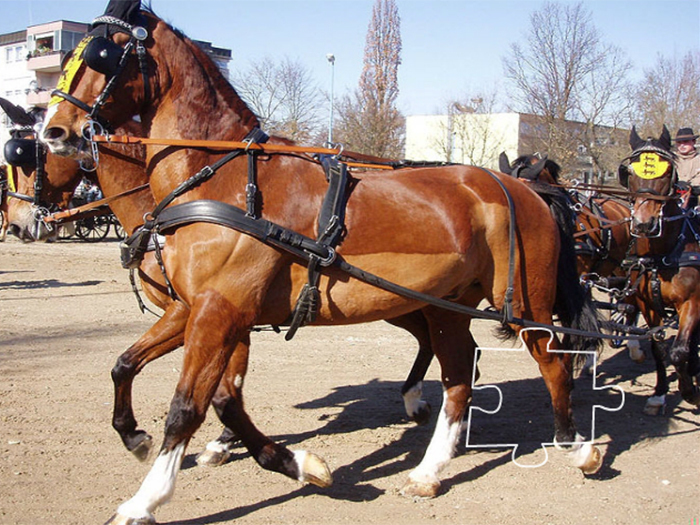 The most common use of the Gelderland is a carriage, particularly in combined driving. It is known as an elegant horse that possesses stylish, high stepping gaits, especially the trot and it has natural jumping talent. Additionally, they are used for light agriculture work, for transportation, a family horse and for riding. Sometimes they have a role in horse shows, where they are judged in many disciplines, especially at show jumping, but in dressage as well. That`s due to the traits, which they have passed along to the Warmblood horses. 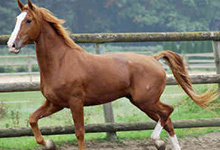 During the last century, the Gelderland horse has been influential on many other breeds. They were crossed with Oldenburg, East Friesian, Thoroughbred and Anglo-Norman bloodlines in order to produce a new breed, which will excel in show jumping. To complete your day of learning, you need to relax and play a nice puzzle game. It is about the abovementioned horse breed, which has good nature and high energy with great stamina. Replace the pieces of the jigsaw by using your mouse. Press and hold the left mouse button on a piece and drag the piece to its right place. One by one, they will all match and you`ll see a final image with an attractive, handsome and docile horse that is willing to please, the Gelderland horse . So do not go anywhere, stay on horse-games.org and play thousand of free horse, pony and other animal games.